Our eating habits need help. 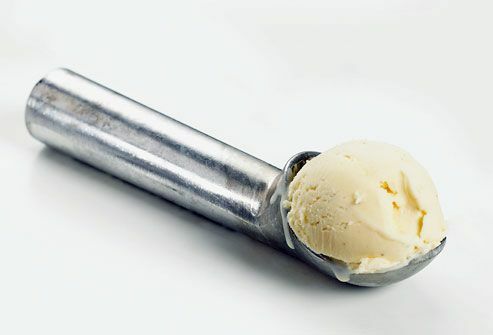 Fast food, high-calorie desserts, sweet drinks, and more have filled us up -- and out. Most adults and 1 in 3 children in the U.S. are overweight or obese. 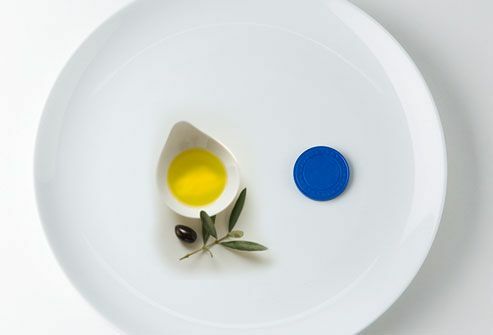 Changing the way you eat can be easy. To start, learn about some of the worst food offenders and how to replace them with healthier choices. 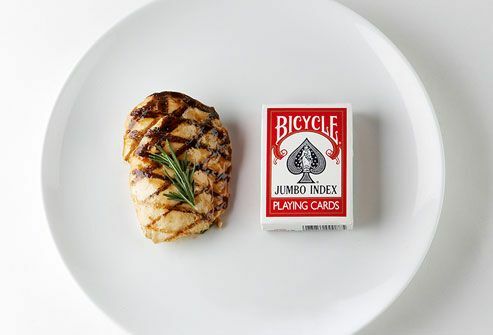 Then try some portion-control tricks. Most of our calories come from foods high in fat and sugar. 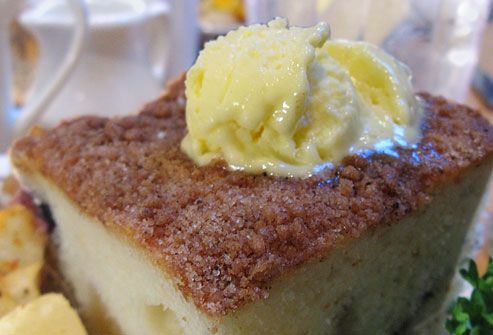 Sweets like cookies and cakes, along with yeast breads, top the list. 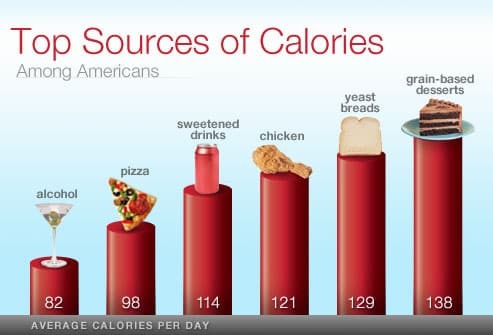 We also load up on calories in chicken dishes (often breaded and fried), sodas, and energy and sports drinks. 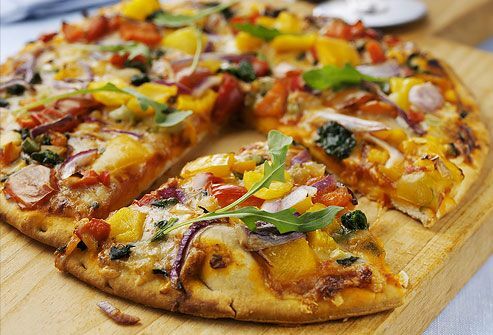 Pizza, alcohol, pasta, tortilla dishes, and beef dishes pile on more calories. Unless you count fries and chips, fruits and vegetables don't even make a dent in our daily calorie count. Just two problem foods -- solid fats and added sugars -- count for about 800 of our daily calories. That's almost half the calories an average woman should have in a day. 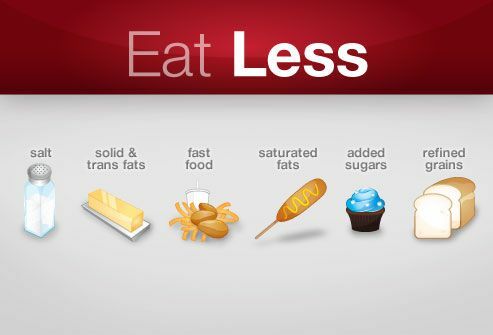 U.S. dietary guidelines say we should limit solid and saturated fats as while as rotally eliminate trans fat. Cut back on fast foods and refined grains, like white bread. While you're at it, cut down on sodium (salt), too. Most of us get too much, raising our chances of high blood pressure and heart and kidney disease. Instead of solid fats like butter or margarine, use olive, canola, and other oils that are good for your waistline and heart. 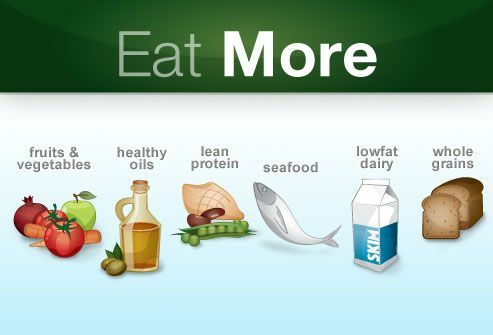 Other healthy choices: nonfat or low-fat dairy foods, eggs, beans, and lots of fruits and vegetables. Pile on veggies and skip meat. Use low-fat or fat-free cheese or just a sprinkle. Have one small slice and fill the rest of your plate with vegetables. 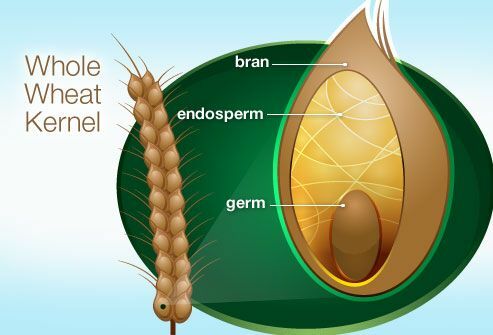 The outer shell, or "bran," of a kernel of wheat, rice, barley, or other grain is full of fiber, vitamins, and minerals. Fiber helps you feel full on fewer calories and keeps your bathroom visits regular. But to make white (refined) flour from a kernel of wheat, food makers get rid of the bran. With it goes much of the fiber and vitamins. Fats that are solid at room temperature usually contain saturated and trans fats. Trans fats should be avoided as much as possible and saturated fats should only contribute 10% of your calories. You will find saturated fats in butter, coconut oil, animal fats in meat, dairy, bacon and chicken skin. 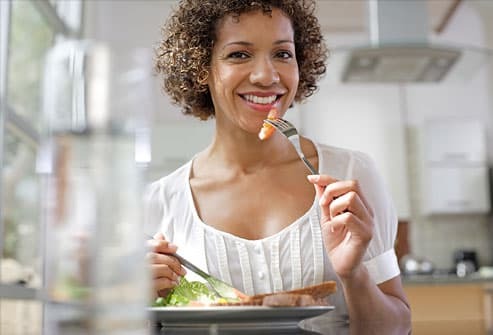 Start downsizing to healthy portions and your body will, too. 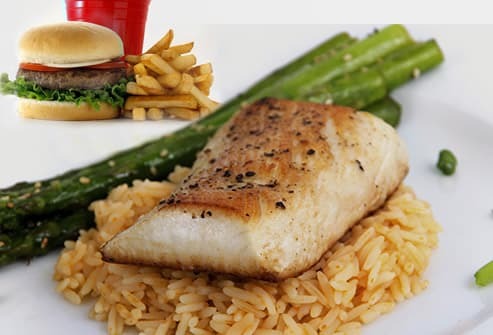 Check food labels and restaurant menus for hidden calories. Learn to "eyeball" your food to gauge what’s too much -- and what’s just right. You may have grown up being told to "clean your plate." The problem is that dinner plates in homes -- and restaurants – have gotten bigger. And so has the amount of food we put on them. 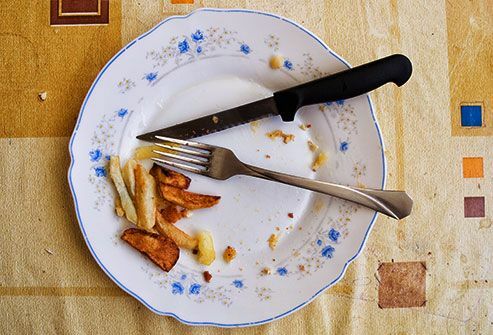 If you clean your plate now, you're probably overeating. 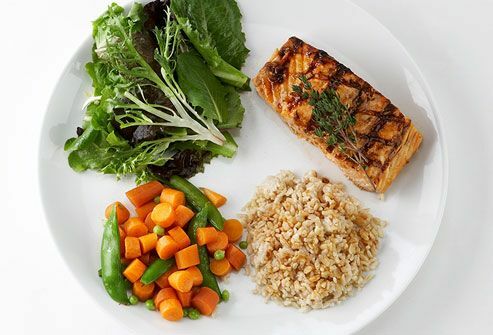 Eat from a smaller dish like a luncheon or salad plate. Learn and serve the right-sized portion. Don't go back for seconds or keep extra food on the table to tempt you. Store leftovers in single-serving containers for quick meals. Restaurants usually serve one person enough food for two or three. But you don't have to eat it all. Order a half portion or something from the kid's menu. If you order a full-size entree, box up half of it before you start eating. Split a dish with a friend. Eat a healthy appetizer and soup or salad instead of an entrée. You don't need to weigh or measure your food every time you eat. 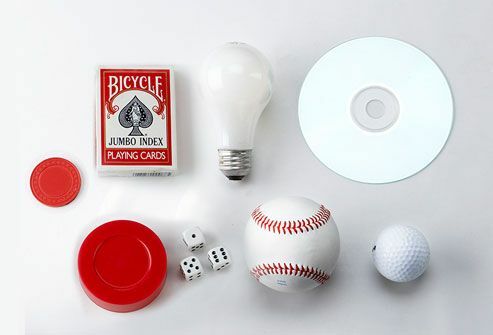 Instead, keep a mental image of a deck of cards, a poker chip, a baseball, a hockey puck, a CD, dice, and a lightbulb. 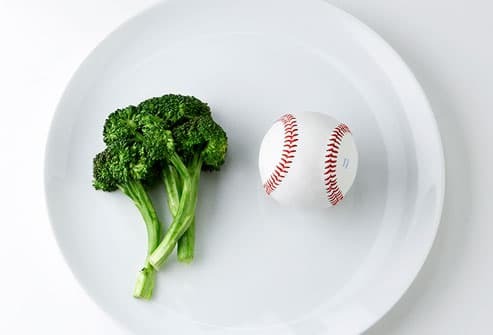 This makes it easy for you imagine healthy portion sizes. That's equal to 1 cup of vegetables. 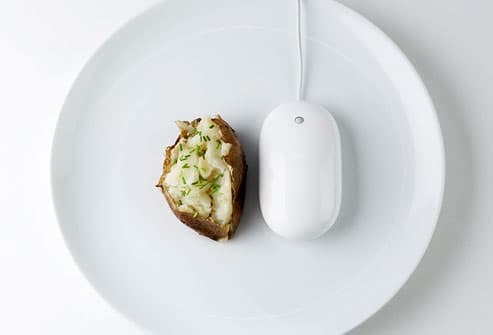 Eat part of the potato and take the rest home for another meal. Choose a sweet potato instead. It gives you vitamin C and vitamin A, which keep your eyes and skin healthy. That's 1 ounce, or 1/2 cup, of grains. If you eat more than one portion of pasta when you eat out, skip the breadbasket. But count the extra pasta as another portion of grains for the day. Try whole-grain pasta. You'll fill up on less and get extra fiber. Instead of Alfredo or other creamy sauces, choose tomato-based marinara. Use low-fat salad dressing when you make pasta salad. 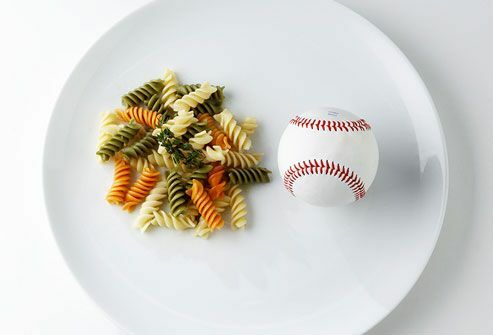 That's a 1-ounce serving of grains. Order a small pancake and an egg. That's a serving each of grains and protein. Order whole grains, like a buckwheat or whole wheat pancake. You get more fiber and nutrition and stay full longer. Opt for fresh fruit or sugar-free syrup as a topping. Bagels and bran muffins seem like healthy eating choices. But they can be two or three times too big. 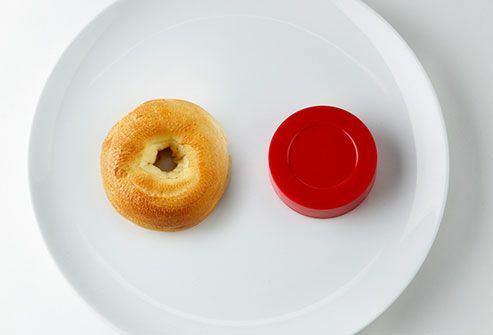 A large bagel and even a low-fat muffin can pile on 300 calories. Spread it with butter or cream cheese, and you've added more fat and calories. Breakfast can be a whopping 500 calories. To save calories, eat a high-fiber English muffin instead. Eat half of a large one or buy smaller sizes. Make the bagel whole grain. The high fiber will curb hunger later. That's a 1-cup serving of dairy. Cheese is high in calcium. Regular cheese is also high in fat. One serving of low-fat cheese is one-third the amount of nonfat or low-fat dairy you should have in a day. Try low-fat cheeses. They have gotten tastier. Watch your portions. Nibble cheese like a mouse. Ask for less cheese or low-fat cheese on pizza. That's 3 ounces of protein. 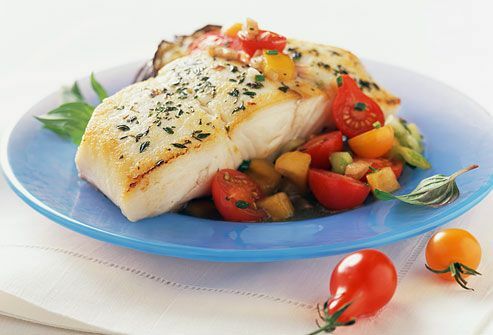 Eat lean protein -- fish, poultry, eggs, nuts, and beans -- at every meal to help build muscle and lose weight. But you may need less protein than you think. Adults only need 5 to 6 1/2 ounces of protein a day. That could be one egg at breakfast, a handful of nuts (12 almonds or 24 pistachios) mid-day, and 3 ounces of meat for dinner. That's a 1-cup serving of fruits or vegetables. When it comes to fruits and vegetables, eat as much as you want. Green, red, and orange foods have lots of nutrition. That includes berries, red bell peppers, tomatoes, pumpkin, and sweet potatoes. Dark greens are heart healthy. Try spinach, broccoli, Swiss chard, and kale. That's 2 tablespoons or two 1-ounce servings of protein. 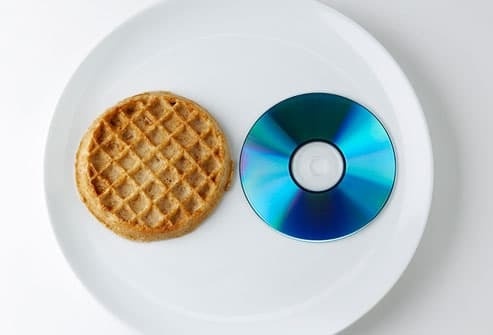 Peanut butter and jelly is great comfort food. 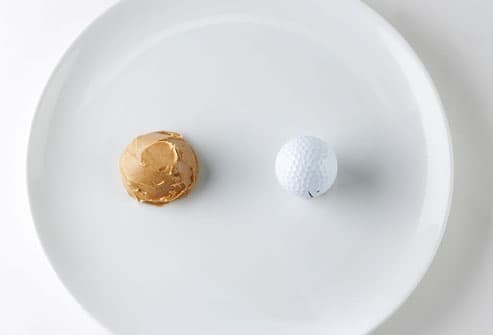 And snacking on peanuts and peanut butter can curb hunger. The trick is to make a little bit go a long way. Peanuts have healthy fat, but it's still fat and can add calories -- 190 for 2 ounces. Jelly adds more. That's 2 servings of grains. Rice is low in fat and calories. Serve it with a rainbow of healthy vegetables -- like red peppers, bok choy, onion, and carrots -- stir-fried in a little peanut or canola oil. Steam rice instead of frying it to keep calories down. 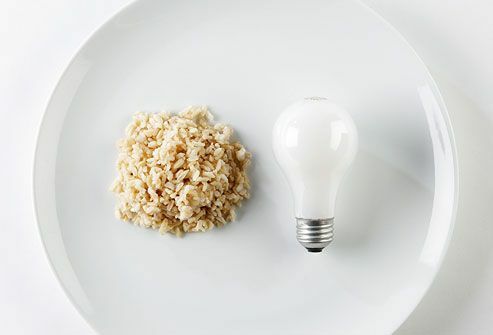 Try brown rice, which has more fiber than white rice. Don't ruin the health benefits of rice by topping it with fried food or heavy sauce. 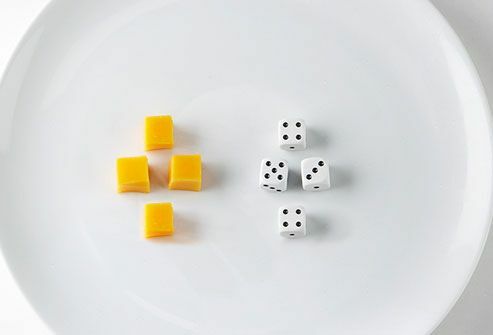 1 portion of fat = a poker chip or a stack of four dimes. That's 1 teaspoon, or 1 serving, of fats and oils. You probably get enough fat in foods like cooking oil, salad dressings, meats, and nuts. Spray cooking oil in a pan before frying, instead of pouring in liquid oil. Use heart-healthy olive or canola oil instead of butter. Dress your salad with light vinaigrette instead of thick, creamy salad dressing. 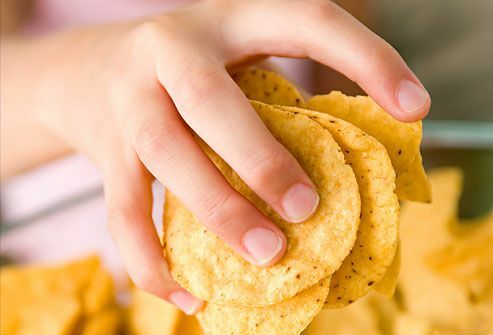 Chips tend to be packed with the things we need to limit: unhealthy fat, refined grains, and sodium. Just one ounce can have nearly half of an entire day's fat for a woman. Read the label: Baked, multigrain, and vegetable chips -- like carrot and sweet potato -- have more nutrients and may have less fat. That's 4 ounces or 1/2 cup. Instead of a bunch of cookies, have a small cookie and a piece of fruit or glass of milk. When you really want chocolate, eat dark chocolate, which has less sugar. Academy of Nutrition and Dietetics: "Satisfy Your Sweet Tooth without All the Sugar." Dietary Guidelines for Americans, 2015-2020. Mangels, R. Vegetarian Journal, July/Aug 2000.